When you need an attorney to help you with a problem or to guide you in making an important decision, what do you look for? Do you look for an attorney who has an understanding of what you are experiencing as well as the law? Do you look for an attorney who is mindful of your time and money? Do you look for an attorney who truly cares about your case and who has the skills to positively affect its outcome? At the law office of Czachor, Polack + Borchardt, L.L.P. , we offer clients throughout Northeastern Wisconsin the type of legal help they need and deserve during challenging times. Clients turn to us when they are experiencing overwhelming debt and are interested in the fresh start offered by filing bankruptcy. They turn to us when they have been hurt in car accidents and require swift attention to their personal injury claim. And they turn to us when their marriage is ending and important decisions need to be made about their future, their finances, and their children. 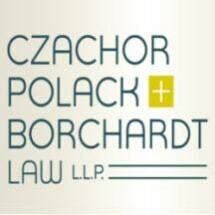 Curtis Czachor, Timothy Polack and Peter Borchardt and their staff of five paralegals Tammy A. Swearingen, Shannon M. Meert, Audrey Shirley, Ellen Goltz and Sandy Schoen comprise the law firm of Czachor, Polack + Borchardt, L.L.P. Our lawyers understand what our clients are going through. We respond with legal representation that is dedicated to the timely resolution of our clients' problems. We respond with compassion, experience and personal attention. At the law office of Czachor, Polack + Borchardt, L.L.P. , your legal needs will be met with knowledgeable attorneys who are ready to take on your challenge and guide you toward a favorable outcome. We handle personal injury claims, bankruptcy, estate planning, family law, and more.